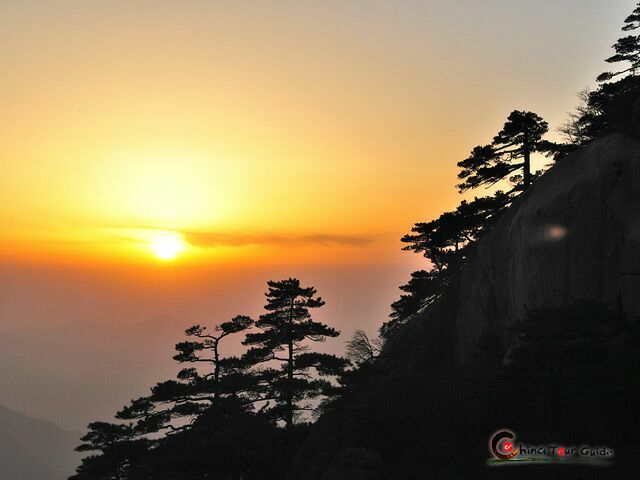 Located in Yixian County, Hongcun Village is about 70km from the city center - Tunxi District, and is near the southest slope of Huangshan Mountain. 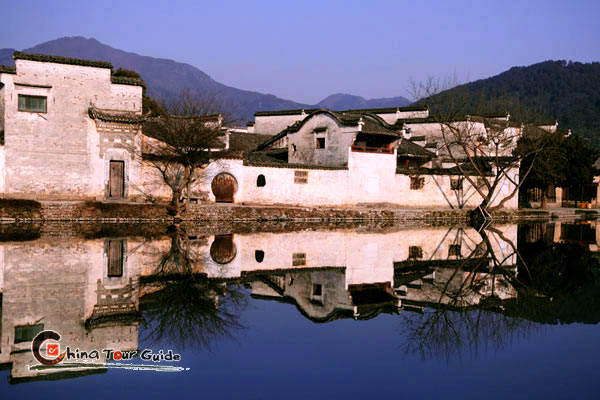 With its serene environment and traditional features, Hongcun Village is listed as one of China's top 10 charming villages and, together with Xidi, was inscribed onto UNESCO's World Cultural Heritage List in the year 2000. 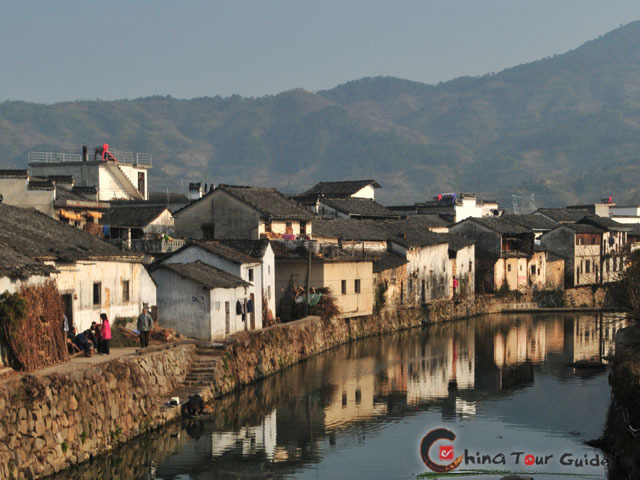 Dating back to the Ming and Qing dynasties, Hongcun Village is an exceptionally well-preserved traditional Chinese village, with 140 old residential buildings left from the history. 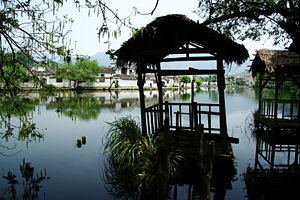 Hongcun is a village of water. It has a well-developed water system to lead water to flow throughout the whole village. 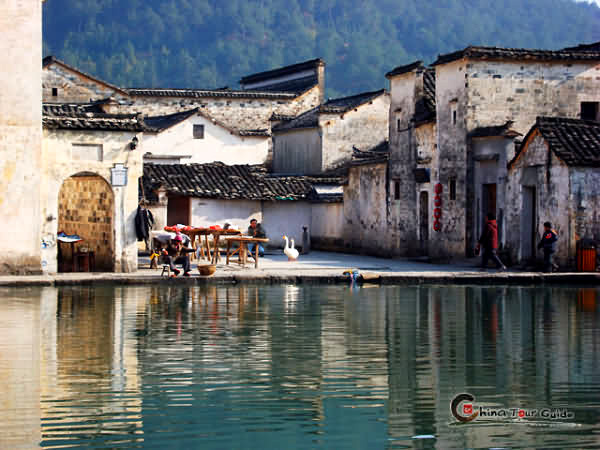 Also known as "Chinese Village in Picture", Hongcun Village's townscapes are developed in harmony with the natural environment, using the geomantic principles of Feng Shui. The village is peculiarly arranged in the shape of an ox: Leigang Hill is the head, and two towering old trees standing make the horns of the ox. Four bridges across the stream are the legs, while the houses of the village form the body. 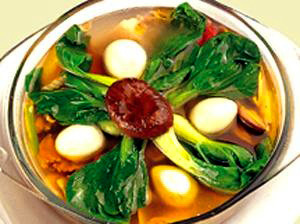 Inside this "body", the winding stream from the dam represents the intestines, Moon Pond is the stomach, and South Lake (Nanhu) is the belly. 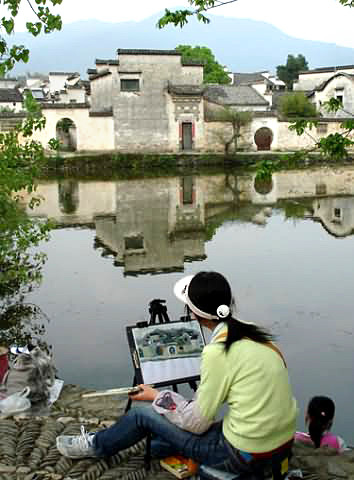 Natural beauty combines with the delicately designed village layout form the most featured beauty of Hongcun Village. 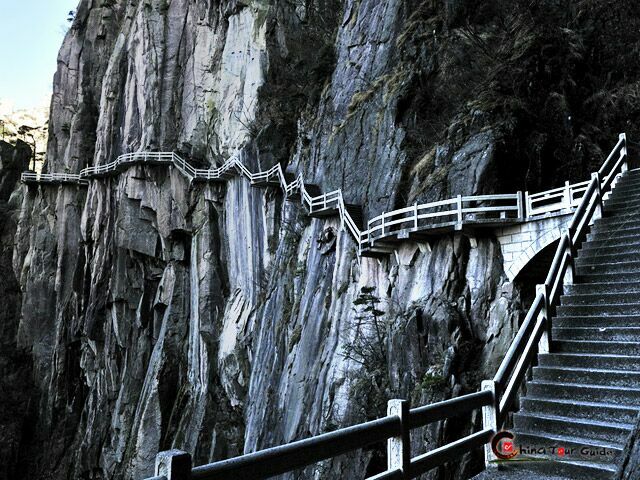 It is an inspiration for artists and film directors. 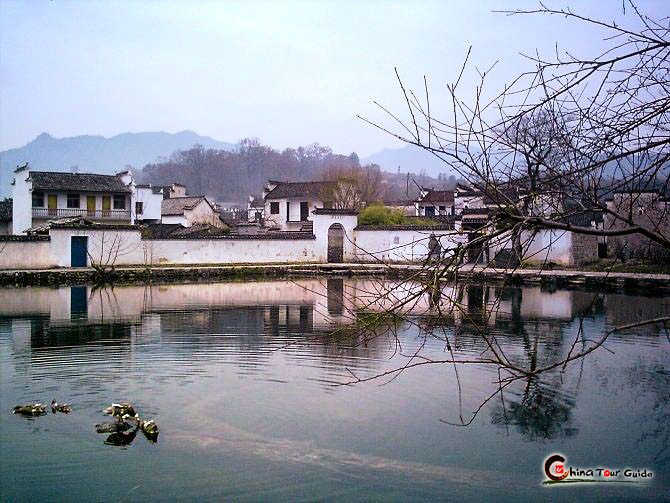 Hongcun Village is one of the shooting places of the world-famous movie Crouching Tiger, Hidden Dragon directed by Ang Lee, which was released in 2000 and won Oscars for the Best Foreign Film and Best Cinematography. The moment you arrive in Hongcun, you will find that the charming landscapes in the film stretch before your eyes: morning mists, gray tiles, white walls, stone bridge, water lily ponds, and verdant hills in the background Walking into Hongcun Village, you will find that as if you have stepped into a traditional Chinese painting, with all its beautiful characteristics around you. In addition to the poetic scenery, the architecture and carvings of over 140 ancient residences are definitely worth seeing. Chengzhi Hall, one of the biggest residences open to visitors, is also a typical residence museum. 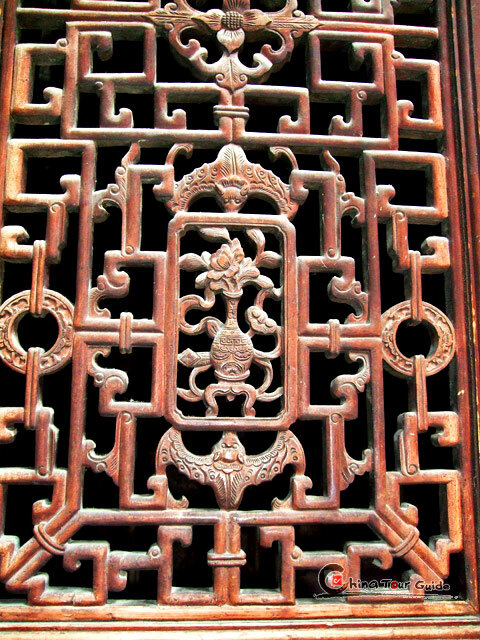 The House of Chengzhi Hall covers a floor space of 2,000 square meters (about 21,500 square feet) and is acclaimed as the finest example of woodcarving decorations in Anhui Province. 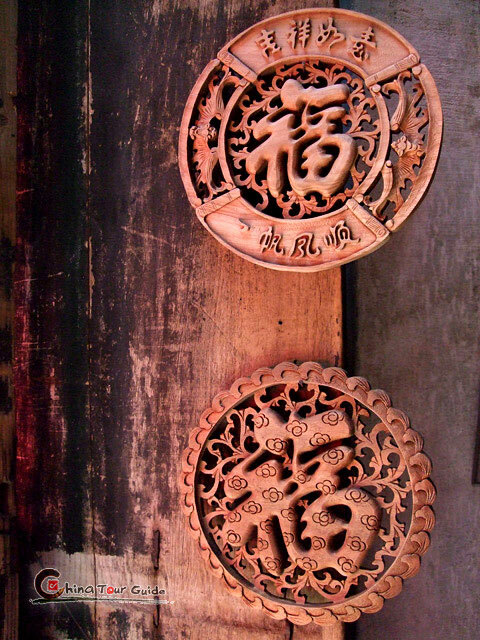 Beautiful in design and elegant in style, the woodcarvings adorn the crossbeams, pendentives, doors, and window pillars. Of particular interest are woodcarvings of the same figure with different faces and the same face with different expressions. The furnishings in these ancient houses also reflect customs of the locals. In the local it was typical to place a vase on the east side of the table, a mirror on the west (East Vast and West Mirror) and a clock in the middle, which are homophonic symbolizations in Chinese meaning peace and harmony within the household.